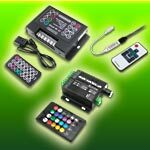 These Amazing RGB LED Modules allow the light designer, set designer, sign maker and exhibit builder to easily bring their projects alive with color and movement. 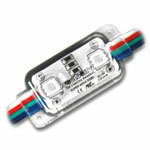 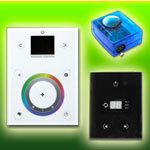 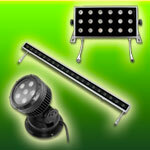 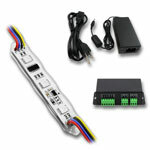 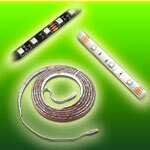 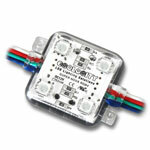 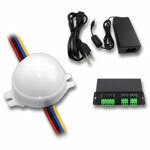 Using PWM dimming you can create millions of colors and color changing effects. 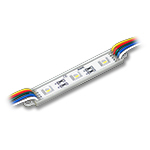 Our standard color changing RGB modules are perfect for most projects, if you need color chasing module effects check out our digital style module options where you can control each LED module, making the possibilities truly endless. 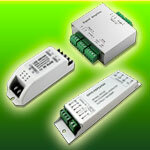 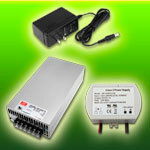 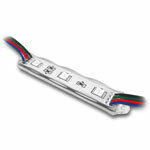 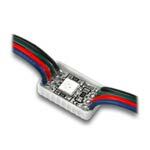 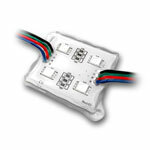 Module input voltages vary from 5VDC-12VDC, always be sure to operate the products on the correct input voltage.